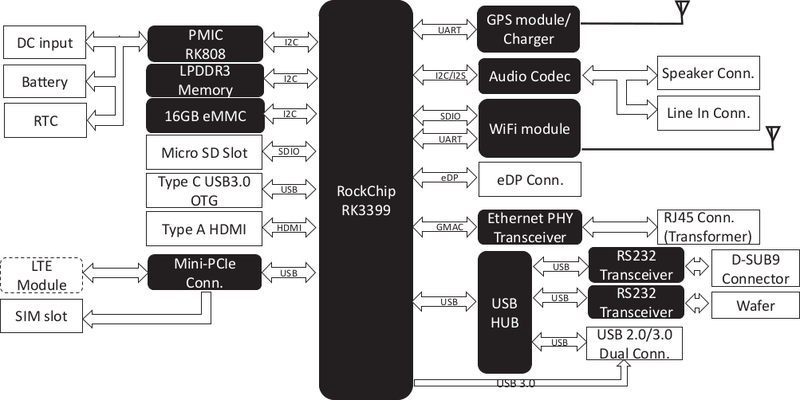 We now have a fair amount of boards powered by Rockchip RK3399 hexa-core processor with Firefly-RK3399, Rockchip Sapphire, VideoStrong VS-RD-RK3399, the upcoming 96boards compliant Rock960, among others. But AFAIK, none of those are designed to fit in a standard enclosure. AAEON will soon change that with an update of their RICO-3288 pico-ITX board, called RICO-RK3399 featuring Rockchip OP1/RK3399 processor combined with 2GB RAM, 16GB eMMC flash, HDMI 2.0, Gigabit Ethernet and more. 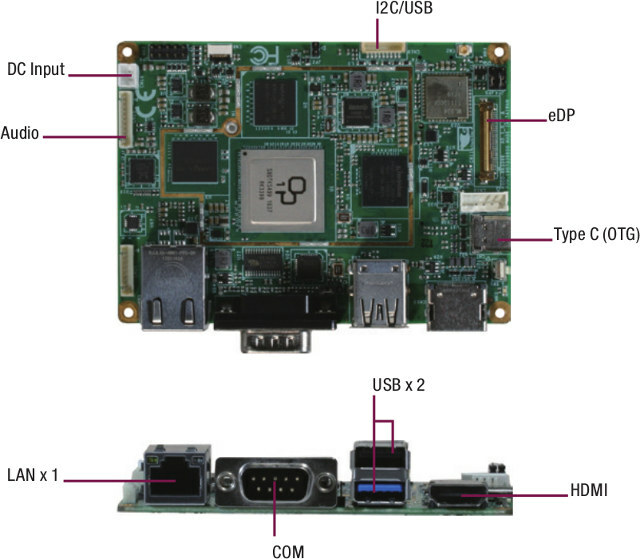 The board comes with a power cable, and an RTC battery by default, but the company also offers optional accessories namely: a 20cm USB cable, a 15cm serial (COM) cable, a 12V/5A power supply, an NFC board, and/or a GPS & battery charger board. The company will support Android 7.0 for the board, but there’s no word about Linux. The company lists the board can be used with a fanless cooling system, but I’d assume it depends on the selected enclosure and overall thermal design. The board targets business applications such as digital signage, kiosk, home automation, smart cameras with facial recognition ability, and more. The product page shows the board as “coming soon”, and pricing has not been made public.